The old North Gym, which was home to GCU basketball for more than 30 years, was transformed over the summer into four tiered lecture halls that hold 100 students each. Lexi Clark sat on the carpet just outside the new lecture halls in the old North Gym, awaiting her next class as many students do. Situated nearly at the midpoint of the long hallway that dissects the four classrooms, the freshman from Tempe was seated in roughly the same space that people such as Bayard Forrest, Nate Stokes and Rodney Johns once occupied. Only then, that space was center court of the basketball floor in a building that holds an incredible amount of history at GCU. “Nope, I didn’t know that,” Clark said. That confluence of young and old — and progress and tradition — never has been more apparent than at North Gym. The new lecture halls, built last summer, accommodate 100 students apiece and include tiered seating, soundproof walls and a layered ceiling that offers glimpses of the original architecture. They are just part of a $313 million renovation and expansion project that has transformed GCU into one of the fastest-growing universities in the country. Amid that development, however, several links to the past have been preserved. North Gym was built in the late 1950s and served as the home for GCU’s men’s basketball team until 1994, when the South Gym (now known as Antelope Gym) was added on to the facility. That, in turn, yielded to the state-of-the-art GCU Arena, which was built in 2011. The original North Gym took several years to build and was constructed largely by volunteers from the community. “Churches would come over and help. Faculty and staff and students would come over and help,” said Keith Baker, GCU’s director of athletics, whose family has a long history at the University. “I’ve heard stories about professors who would teach class, throw on a pair of overalls, come over and put in some work, then go back and teach more classes in the afternoon. The lumber, Baker said, was donated and used to create a unique ceiling structure that consists of two-by-fours laid on edge and nailed together to create one huge laminate beam. That sense of community and belonging carried over from the construction of North Gym to actual attendance at basketball games in the facility. The gym was small, seating less than 500 people. It was dark. The locker rooms were cold and antiquated, and players tell of not being able to get hot water all the time in the showers. A stage was so close to the court that players could run into it if they overshot the baseline. And the court wasn’t even regulation size for the NCAA (about six feet short), so postseason home games had to be moved off-campus to a more suitable site. But none of that mattered. 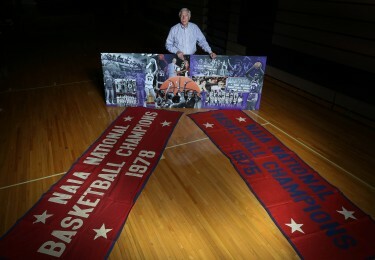 North Gym ushered in the heyday of the men’s basketball program at GCU, a period in which the Antelopes won three NAIA national titles, had a perfect season (20-0) in 1958-59 under Coach Dave Brazell, won 61 successive home games from 1974-78 and featured All-Americans such as Forrest, Stokes, Johns and Chad Briscoe. And that made GCU basketball one of the hottest tickets in town. “You had to get there a minimum of an hour and a half before the game started in order to get a seat. It was packed,” said Ray Arvizu, who played at GCU from 1977-79 and is now the president/CEO of Arvizu Advertising & Promotions. “Back in the day, we used to get as much media coverage as ASU because of our national rankings and the way we played. Forrest, a three-time first-team All-American and a member of the 1974-75 national championship squad, knew the intricacies of North Gym well because his father, Nelson, also played at GCU. So when major universities such as UCLA recruited him out of high school, and smaller schools with beautiful facilities such as Point Loma Nazarene also came calling, he knew what GCU was up against. Someone else who really wanted Forrest at GCU was Coach Ben Lindsey. “I made him a promise, because I knew how good he was, that we would win a national championship if he came here,” Lindsey said. 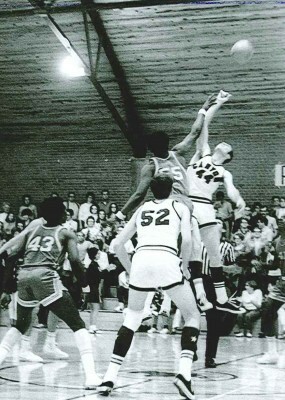 Forrest became GCU’s career record-holder – by far — in points (2,195) and rebounds (1,544) and later played in the NBA as a member of the Phoenix Suns. Lindsey became the Antelopes’ winningest coach, with a 317-137 record from 1965-81 and national titles in 1975 and ’78. He also played at GCU from 1959-62 and still holds the record for most field goals in a game (18). The Antelopes’ third NAIA national title came in 1988, when a team coached by Paul Westphal went 37-6. In those days, winning an NAIA title was nothing to sneeze at, with 550 schools across the country. 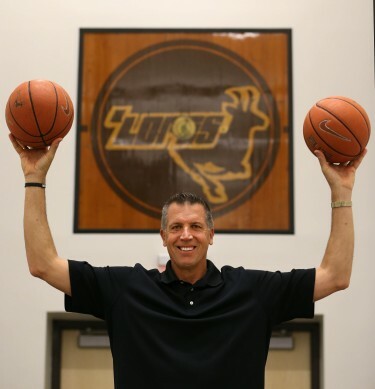 Former GCU player Rob Babcock (1970-74), now the director of basketball operations for the Minnesota Timberwolves, said the level of play was equal to what Division II or lower Division I is now. North Gym also hosted school dances, Chapel services, pep rallies, theatre productions and banquets. “It was the hub of campus activity,” Baker said. NBA teams even used the gym as a practice court when coming to town to play the Suns. With all that history, the University took care to make sure some of it was preserved during the renovation. Wood laminate accents are used on the walls of the lecture halls, providing a subtle tribute to the basketball court that once stood there. The original two-by-four ceiling is visible in some areas. And, in the biggest nod to its roots, the center court logo of the original basketball flooring was placed in a frame and mounted on the south wall of the hallway.